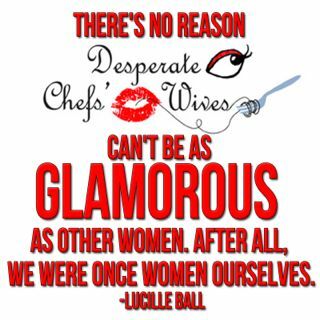 Desperate Chefs' Wives: Book Giveaway! The good people at Viking have a copy of Promises to Keep by Jane Green ready to send out to a lucky Desperate ChefsWives reader. I've already started this novel about love and friendship and can't wait to finish it- in between midnight feeding and diaper changes. 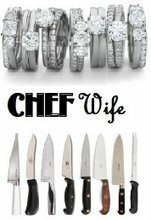 Of course the female chef character is one of my favorites a fresh change from the saturation of male chef characters in books and television. Jane Green has written 12 other novels, several of which made the New York Times bestseller lists. She'll be on tour this summer as well. Callie Perry has a pretty perfect life. It may not be everyone’s idea of happiness – her husband spends more time travelling for his job as a commercials director than he does at home – but it works for her. It gives her time to work – she is a successful family photographer – and be around for her two kids, and her friends. She lives in Bedford, New York, is beloved by all who know her, and wakes up every morning grateful for how happy she is. Her younger sister, Steffi, the baby of the family, has never grown up. In her early thirties and the epitome of a free spirit, she’s never held down a job, or a boyfriend, for longer than six months. Her latest incarnation is as a vegan chef. She’s living with the latest unsuitable man, in a sixth floor walk up in Soho, and her parents have almost given up hope that she’ll ever learn what it is to be responsible. Lila Grossman is Callie’s best friend. Single, she’s finally met the man of her dreams. Ed has a son she adores, a crazy ex-wife she doesn’t, and she finally feels ready to settle down. If, that is, their goals are the same. And then there are Callie and Steff’s parents. Walter and Honor . Divorced for almost thirty years, they haven’t spoken for most of that time. They may share two grown-up daughters, but it is agreed by all who knew them, they share little else. Until they all receive a shocking phone call that changes their lives forever, and brings them all together one short, snowy winter. Promises to Keep is about the hard choices we sometimes have to make; about having to be a child, long after you’ve grown up, and mostly, about the enduring nature of love. Want a hardback copy of your very own? Just leave a comment sharing what you look for in a friend. Common interests? Companionship? A pal to laugh with? A serious soul sister? I'll chose a winner randomly on Sunday, June 20 so submit before then! Good Luck!! I would love to read this book. I read your blog in a Google Reader. Well, I look for a friend to be there in not just bad times, but in good times too. Usually common interests, they have to like to laugh cause I am a pretty funny person....At one time, I thought I had found this person, and up until nearly 2 months ago (my engagement to my chef) I had had this friend for 12 years, not anymore. That doesnt stop me from trying to find a new one! You're better than I am, Jess. I've recently lost a dear friend too and I'm keeping to myself for a while. Good luck! Finding new friends is hard. My "friend" was there for me through a lot in my life, graduation, my pregnancy & trying to raise my daughter, me getting sober, etc. then, I got engaged. 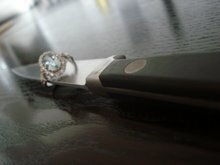 She told a mutual friend that she was mad about my ring because it didnt directly reflect the amount of money that my chef makes. Not in those words but that is the jist of what I understood. I know, ridiculous. So, I have hung out with her maybe 4 times in the last 2 months and hold her at arm's length. Our friendship will be forever changed because of her selfishness. And the worst timing! I have to find a new maid of honor!! Oh well.